Pinch Test - Is The Belt Loose? Home > Questions & Answers > What is the pinch test? The pinch test is one of the simplest methods available to determine how tightly the harness fits. 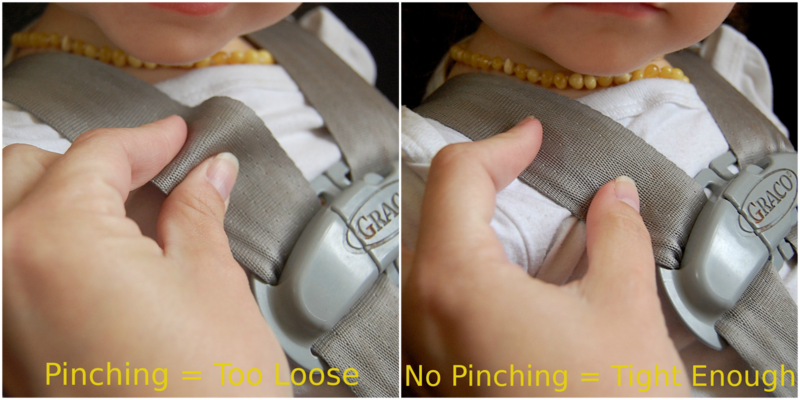 All you have to do is to try and pinch the harness over the child’s shoulder, at their collarbone. If you actually managed to make a pinch, you should know that the harness is too loose. Make sure to adjust it before using the car seat! If you cannot adjust the harness in a way that would let the pinch test turn up negative, you should get an entirely new car seat for your little one. Remember, a loose harness is very dangerous for the child. Purchase a new car seat if that is the case.